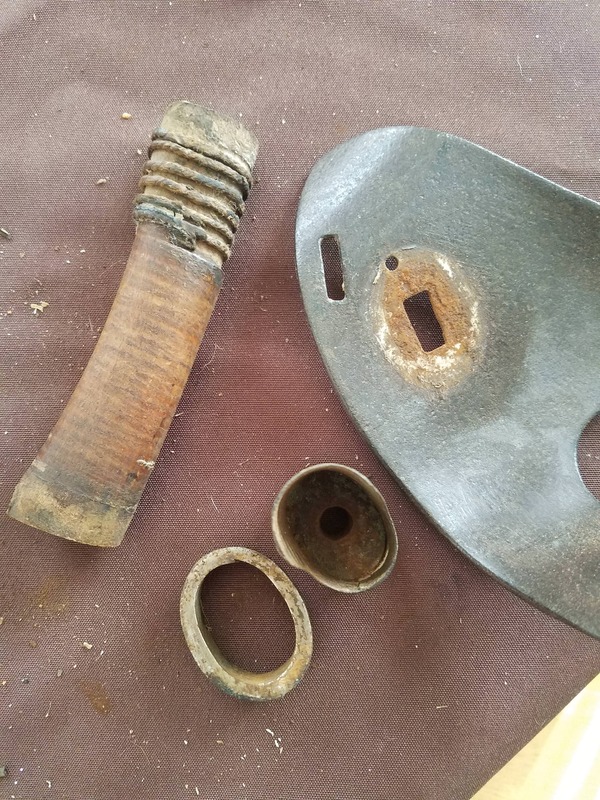 Pommel was peened, but welded together from two half shells. Thank you very much libra and all other members who submitted measurements. That is an awful lot of holes in the tang. Are they all there to hold the plastic grip scales in place? Doesn't this effect tang strength? When I first looked at it I thought it might be the work of the Giant Chinese Tang Rat. The result of a less-than-ideal aligned back cut on the tire pell. Doesn't things like that make you hate yourself? What a coincidence! I ordered one of those Cold Steel Bowie machetes just yesterday! Measurements of the tang and blade shoulders - to come. 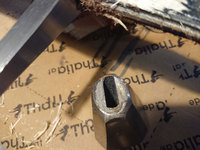 The slot in the guard accommodates the tang only, and the threaded rod needs to be ground flat, or removed to pull the guard completely off. 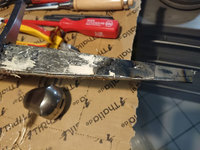 I didn't take the sword apart but found an old jpeg on this forum. Originally from SFI forum. Inletting the threaded section is very much okay, but not welding it all shut but just the underside does not inspire confidence in reliability. Hope it works out for you. Nice, Andi! Next time it's up on MRL's DotD, I may just spring for one. 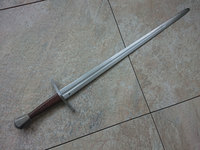 Celtic WebMerchant "Single-handed sword Oakeshott XIV". No manufacturer given. The sword disassembled with little effort. 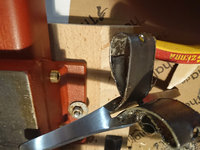 After unscrewing the pommel and lock nut the grip took a hard pull to remove; it was a very tight fit on the tang. No glue was evident. Threaded and screws on, with locking nut and washer before it and recessed inside it. Wood, single piece bored for the tang. Leather covered. 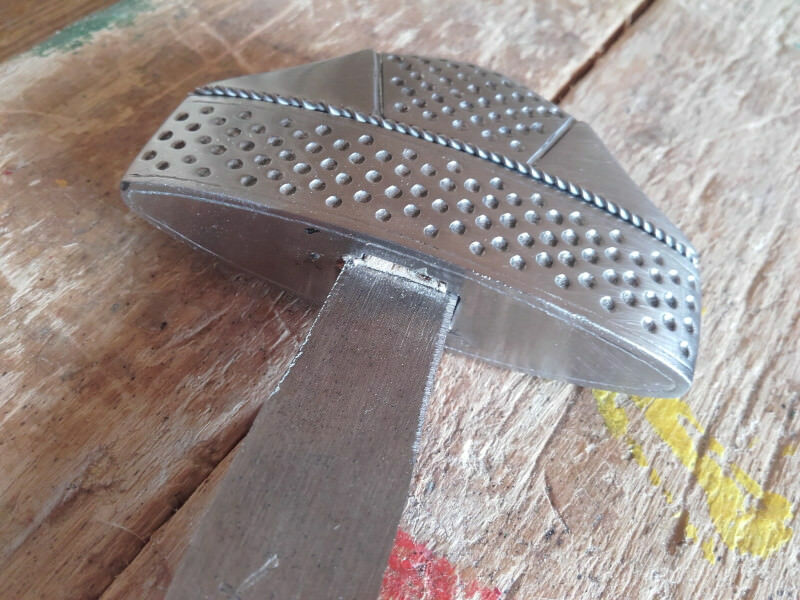 Full tang, tapers continuously to the die-cut threads. Shoulders are rounded. 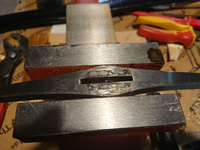 Thread diameter: appears a shade larger than the tang thickness; will measure when I get a caliper next week. 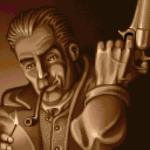 Thanks Andi and Mr. Dastardly ( why I first wrote Bastardly? ): Great post! Lots of numbers. I like that. 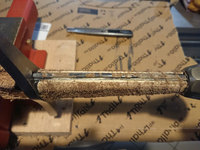 I'm putting a new grip on my Hanwei/Tinker 9th Century Viking Sword. 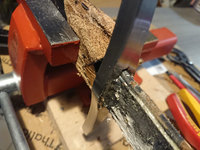 Of course, I forgot to take any measurements before I glued the new core together... Sorry! 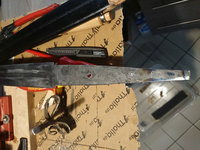 Still, here are a couple of photos of the sword stripped down to bare steel. As you can see the guard fits very loosely around the tang, with about a millimeter of empty space on the edges and half a millimeter on the flats. 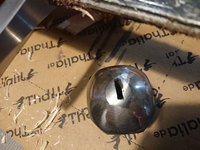 The pommel is keyed, and fitted much more tightly; the sides of the cross-shaped opening are filled with what looks like tiny pieces of wood, but that seems to be an entirely cosmetic touch. 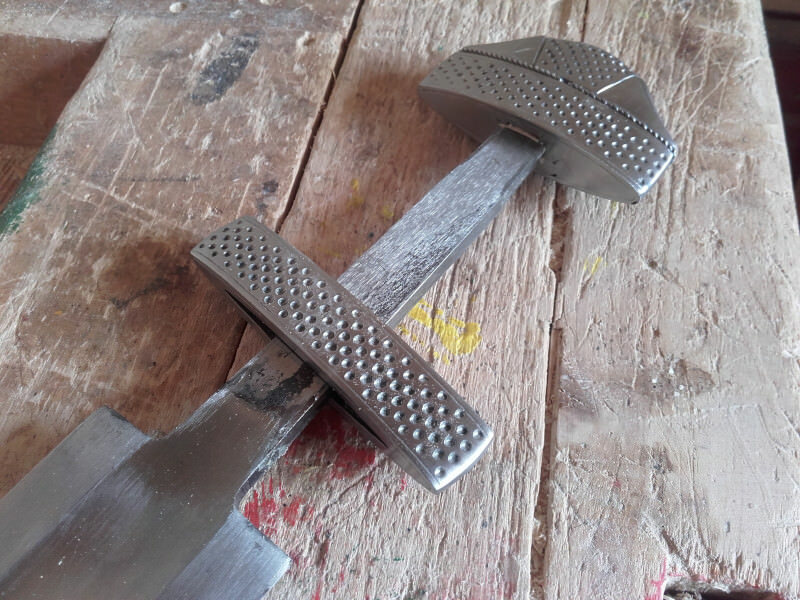 The pommel feels rock solid and I was unable to move it at all, in any direction, without applying amounts of force that would have bent the tang itself. 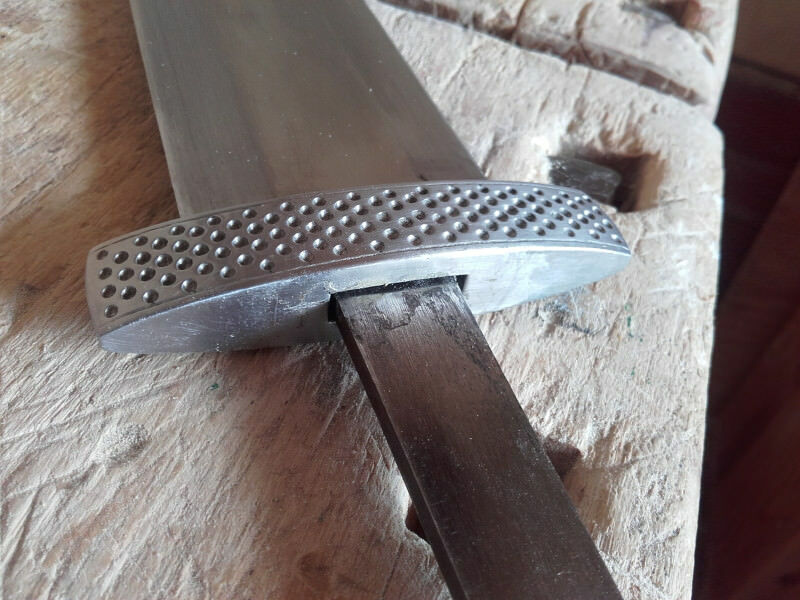 The tang is ever so slightly thicker than the blade shoulders all the way through, and retains most of its width all the way to the very visible peen, too. The fuller goes under the guard but not quite past it. The shoulders are ample and properly rounded. All in all, the only structural flaw here is the overly loose guard. Originally I had planned to backpeen it, but there's just too much empty space for that. 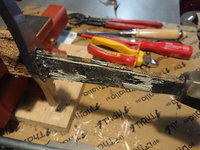 I ended up hammering tiny pieces of impact resistant plastic into the slot to shim it against the edges of the tang (I would've preferred copper sheet but didn't have any at hand), which seems to have done the trick because the sword now rings on impact instead of rattling. 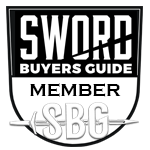 TFW’s Facebook page currently shows a few pics of various sword components prior to assembly. It isn’t actual documentation of construction or anything like that. 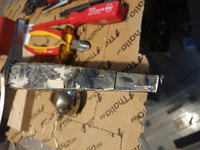 However, you can make out the relative tang dimensions and shoulder geometry on a few of the blades, and maybe a smattering of other pre-assembly details. Sorry, no data as of now. 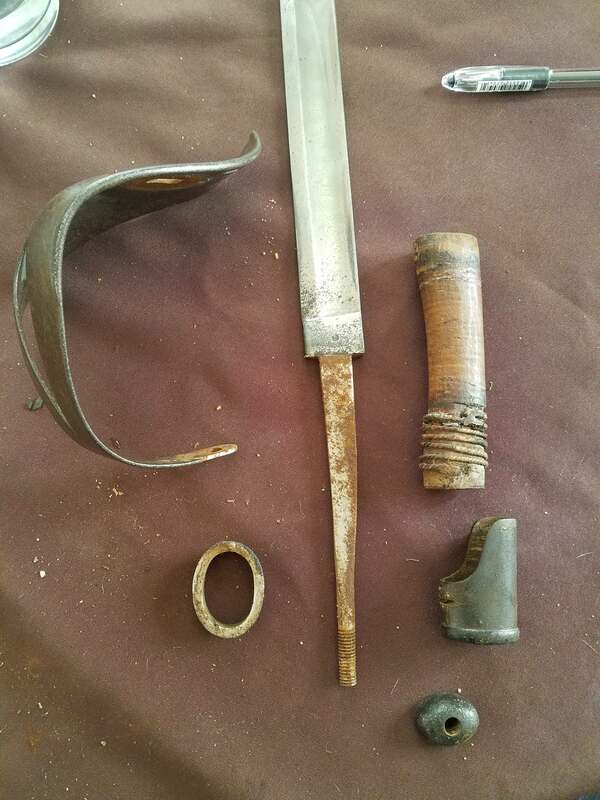 Italian 1860 Cavalry Sabre. A&E H make. 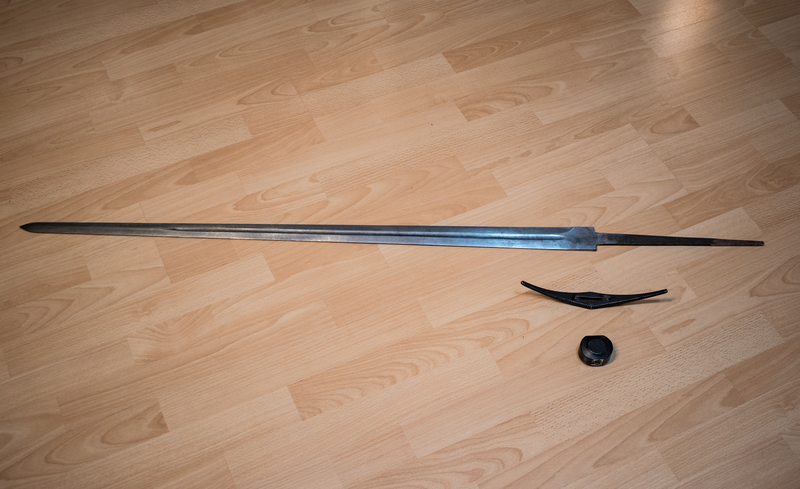 A single handed sword from Viktor Berbekucz. Mok, Pellius, Jordan and Libra, thank you very much for your excellent posts. I was a little behind on forum things, but better late than never. 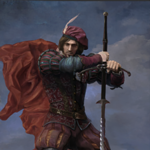 Man, the more I learn about how swords are used, the more terrifying this thread becomes. 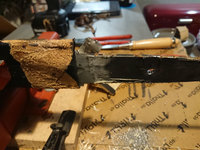 How are you supposed to grip a lonsword on the pommel when only a small threaded tang, or worst, welded bolt, holds it in place? Such a thin piece of metal for such dynamic impact?